On Instagram I recently did a post about Porridge. It's famously the traditional Scottish staple for breakfast food. It comes in many varieties; pinhead, rolled, steel cut, finely ground, as well as flavored and ready made varieties which only require hot water or a microwave. I was once told that roving Scots would carry a bag of oats with them to aid in the digestion of the old meat that they also consumed whilst on the trails. It's been known for a long time in recent history to aid in lowering cholesterol, blood sugar, as well as body weight. For its weight when cooked it holds few calories and is digested slowly by the gut allowing you to feel fuller for longer from your breakfast - which is often an argument in support of a protein based diet over a carbohydrate based diet. For me, porridge oats are of benefit to me for all of those reasons as well as one which I feel is the most important. Oats are a fibrous grain, a complex carbohydrate that requires breaking down by the enzymes in the gut. In order to do this the number of bacteria and gut flora has to increase in order to gain the most benefits from the food. Studies have shown that the regular consumption of porridge oats has direct correlation to an increase in diversity of the gut flora. This diversity of gut flora means a healthier gut, better able to deter bad bacterial growth and thus also better at improving overall physical and mental health. The importance of gut health in relation to overall health has been cited by numerous people throughout the ages and only now is science beginning to understand why. I have even used porridge as a means of overcoming jet lag and the digestive issues incurred from flying. It was also a major part of my eventual cure from eczema that I had suffered for the majority of my life. Now, I'd like to give you my recipe for what I feel is a healthy and satisfying "bit of scran" from Scotland. Add to pan with 2 cups of water. 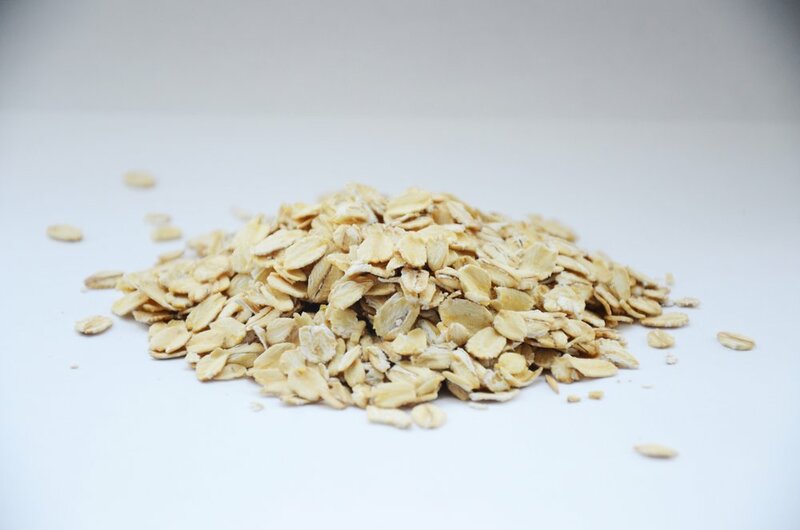 Don't rush this process as it ensures the oats become fully cooked and the beta-glucan is made more available. In 5 -8 minutes the mixture will thicken, if you stop stirring you should have bubbles forming and popping which means that you have finished cooking. You can keep going if you like it thicker. 6. Next add any berries, nuts and seeds, honey or maple syrup to sweeten. Then eat, but remember, it's gonna be fairly hot!! If you prefer to use milk, then go for an unsweetened non dairy option. Dairy can hinder the absorption of minerals in the body and I'd prefer to maximise our nutrition when we eat, especially when the calories are low. Be mindful as well of how many seeds etc you add as this can really increase the calories of the meal. Enjoy regularly for the most benefit! !